We've reached the end of April so it's time for another Nailvengers Assemble challenge! 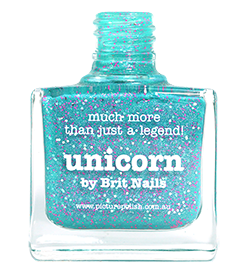 This time our theme is Untried Polish, so we're all breaking out our untried bottles for some nail art. It was only when I sat down to do this that I realised I actually don't have that much untried polish. I was trying not to include press samples that I haven't published yet and only look to my Helmers, but most of my untried polishes are glitters and shimmers in totally contrasting colours! All together, I think I have around 12 untried, which I know compared to some of you is nothing! Pretty. Nails in lighter colour look like a sea. Oh that is stunning! So so beautiful.